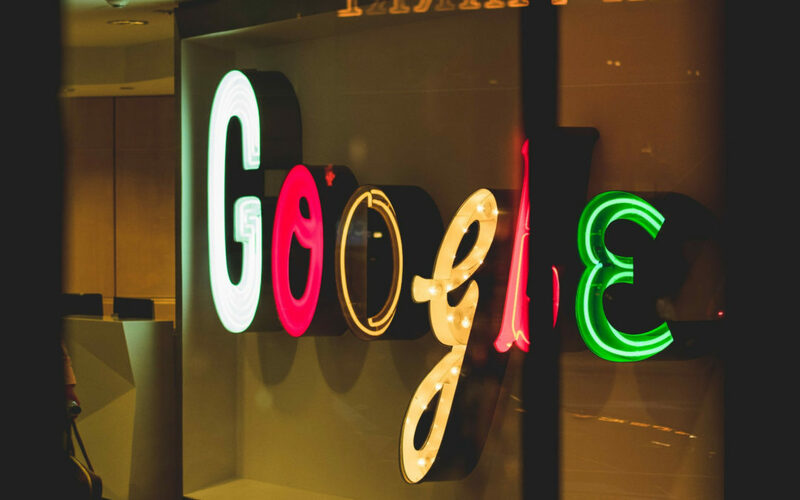 Learn what YMYL & E-A-T mean in the world of Google & why they’re so important. Liz: [00:00:04] Hey there, welcome back to Liz and Sandro’s Marketing Podcast. Together, we provide tips and insight about SEO, digital marketing, social media, reputation management and so much more. Today Sandro is going to explain what YMYL and EAT mean and why they matter. Sandro: [00:00:22] Exactly. Thanks Liz. Today I wanted to take a short moment to talk about two SEO acronyms I see pop up every couple of months or so and then popping up again. And as if you didn’t already have enough acronyms that may affect your small business and website, here’s two more. Those are YMYL and EAT. And honestly, this doesn’t affect any of our clients but it may affect you. And I want to make you aware of something that is really important to Google and to keep in mind. YMYL stands for Your Money or Your Life. Basically these are two categories Google takes very seriously when it comes to judging the quality of a website. They are things that relate to your health and your wealth. Sandro: [00:01:22] Any possibility of a breach of trust or a distribution of dishonest information & you will be flagged and penalized big time by Google. So what are examples of some YMYL sites? Because you may be thinking, I’m none of these. And that may be the case. But some examples are; any kind of financial advice or health advice, that can include stock tips, parenting advice, banking, real estate help or advice, medical or legal information or even news articles about disaster response services or government programs, social services. Liz: [00:01:44] So right there you’ve just touched on three clients we work with. So it does, because we do work in the real estate, we work with financial planners and years ago we did some work with I guess what would maybe, well maybe no, I wouldn’t say disaster planning. But OK, so two. So two. So yeah. Sandro: [00:02:03] And of course diet and nutrition sites or pages. These are examples of sites or even just single pages on your website that are considered YMYL. And if you consider yourself an expert or are an expert, you need to demonstrate this to Google. This is where the second acronym comes in, EAT, which stands for expertise, authority and trustworthiness. Expertise – is the author, or you, of the piece an expert? Authority – is the author a well recognized authority on the subject? And trustworthiness – is the content accurate? Sandro: [00:02:22] From what I can tell, Google really wants to see authors either at the top of an article or blog post or in the ‘About’ section of your website so they can judge these things. I’ve heard examples of some sites possibly being demoted or they were demoted and people believed it was because it was health related and these stories were written by a nurse instead of a doctor. Liz: [00:03:01] There is some authority, you get more authority from being a doctor. Even though, personally I believe nurses. Liz: [00:03:05] I would trust nurses, yeah. Sandro: [00:03:06] Nurses I would trust them. They do a lot more work than doctors. But another example is the keto diet trend. Lots and lots of articles. Liz: [00:03:14] Oh that’s huge right now. Sandro: [00:03:16] How to do keto, or opinions on keto or what it means to be keto-friendly or what foods are keto-friendly. Everybody seems to have ideas about that, or many people seem to have ideas about that. Liz: [00:03:28] Whether or not they are qualified to be giving advice on these subjects. How Do You Show E-A-T? Sandro: [00:03:32] If you’re running stories or posts on keto and you’re not someone other sites or organizations turn to for advice, you may not have the authority or trust or reputation built up to post these things or to gain some trust from Google. So how do you build some EAT – expertise, authority and trust? If you’re an authority, great you’re already set. If other people link to you or point to you or you have a book out there, that’s a good way to get authority. But if not, you want to make sure that you’re pulling and citing quality sources when you’re writing your story or your blog post. You’d rather get information on cancer treatment from the Mayo Clinic or Cleveland Clinic. Liz: [00:04:10] Right. As opposed to a neighborhood clinic. Liz: [00:04:13] [laugh] TMZ, or that, yeah. Sandro: [00:04:22] Thanos. Or, is that the name of the company? Liz: [00:04:27] Theranos, yeah. When is that documentary coming, that’s soon right? Sandro: [00:04:32] Yeah, the 18th or the 23rd on HBO. Liz: [00:04:34] On HBO. I’m so excited to watch that. Yeah. Sandro: [00:04:36] There’s two documentaries I think. Another way to build some EAT is listing professional affiliations, partnerships, awards, endorsements. These things can signal to Google that you know what you’re doing. So again, I say all this knowing that this doesn’t affect everyone. But be aware Google is always making changes and updates. In fact on August 8th, 2018, about six months ago, Google released a pretty huge update to its algorithm and it was dubbed the ‘Medic Update’ because one of the biggest sectors affected were these YMYL sites. Sandro: [00:05:22] Google really wants to be able to trust you. Google really wants people to search for information on their health. I have these symptoms. What could it mean? We don’t want just anybody to diagnose those things. Some sites saw tremendous gains on August 8th, and many saw losses. So again, be aware if you hear the terms YMYL or EAT, it’s financial and health related sites that they’re referring to. And if you’re in that business or looking to get into that business, make sure you’ve got your ducks lined up and you’re working towards achieving that expertise or authority or trustworthiness. Liz: [00:05:44] I actually really appreciate this. On a personal note, and Sandro you know I am on a health journey for several years now and when I first started I foolishly went to Google to get information, to verify information. And long story short, finally I reached a point where I was like, I’m not trusting Google anymore. Unless it’s published in a book, a reputable book, you know that’s vetted by an editor and a publisher. I’m not believing it. Liz: [00:06:14] So stuff like this I think is a step in the right direction because there’s a lot of misinformation. Actually no, I shouldn’t say that. I feel like there’s a lot of generic information out there. ‘These are 8 foods you should eat for a healthy gut.’ Well, if I know that bananas upset my tumtum, then that’s not going to help me. You know, it’s just, I feel like so much of what’s out there and what people are blogging about is just a regurgitation of five other articles that they read. And oh yeah, this sounds good. Eat avocados, do this. Try this diet. Like it’s, it’s not actually helpful. Liz: [00:06:51] Great info. I love this. We’ll have to do more jargony talks like this in the future because I learned stuff too. So thank you Sandro and thank you for joining us. That wraps up today’s episode. Don’t forget, you can find us on Facebook, Instagram and Twitter. You can find us on your favorite podcast app and we’d love it if you showed us some love on iTunes with a review. Thanks so much and we’ll see you next time.